Six Clare Women & Mrs O'Dwyer's Old German Concetina. Featuring Angela Crotty, Ann Kirrane, Mary McNamara, Jacqueline McCarthy, Josephine Marsh, and Dympna O'Sullivan. The plaintive tone of the old double-reeded German concertina, a mainstay of 19th and early 20th century country-house dances, has all but disappeared from the Irish musical landscape of today. 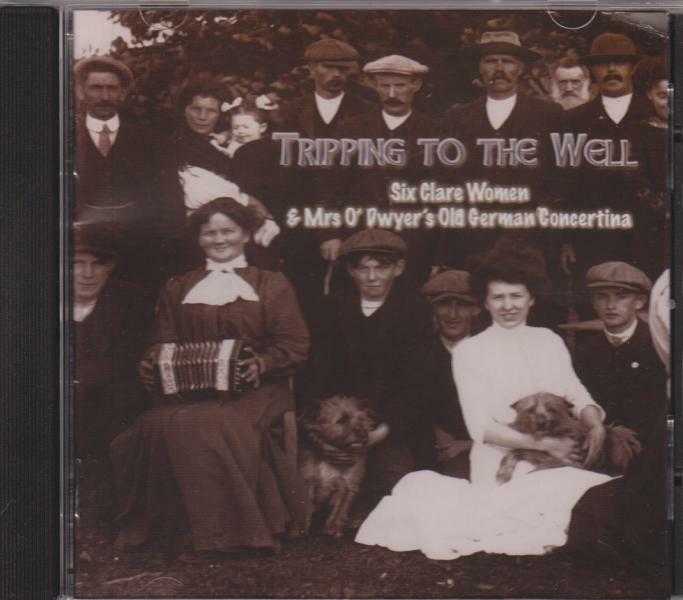 In this unique project, a German concertina that once belonged to Mrs. Ella Mae O'Dwyer of Ardgroom, Co. Cork, is used to recreate some of the ambience, sound and style of concertina playing in Clare from that long-ago era, through the individual talents and musical heritage of six outstanding women players from the various musical regions of Clare.